That's what I thought of when I saw a purported self portrait of Leonardo Da Vinci. Before you get started, be warned in advance, some of the words and sayings aren't really funny. It's just that a person can look back and laugh about them if they lived to tell! Great for a joke! But not cool in real life. Revenge is a dish best not served at all. IS LYING to themselves and to everybody else! If they think they are without sin ... THEY'RE DECEIVING THEMSELVES! Miguel: Tulio, you worry too much. - Tulio: No, I worry exactly the right amount. You can never worry too much! Cortes: My crew was chosen as carefully as the Disciples of Christ, and I will not tolerate stowaways. You will be flogged. And when we put in to Cuba to resupply, *God willing*, you will be flogged some more. And then enslaved on the sugar plantations for the rest of your miserable lives. To the brig! - Miguel: Well alright! Cuba! 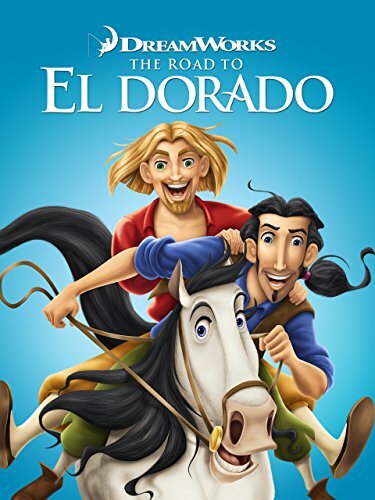 The quotes above are from The Road to El Dorado (2000) which is a Dream Works animated feature film that I've watched with my young daughter many many times. It had a lot of memorable quotes, but for me those were the most memorable. I grew up in Miami, Florida, which is the closest you can get to experiencing Cuba (minus Castro AND Batista) without actually going there. So I couldn't help but laugh that Miguel's down and out spirit was immediately lifted when he heard a mention of Cuba!! Miguel is the cute blonde guy. He was holding his head down looking very sad - as if all hope was gone - until his punisher, Cortes, told him his punishment. Talk about being idealistic and staying positive. Things were looking up again!! Could their miserable lives possibly get any better?? When Cortes mentioned he (Miguel) and his friend (Tulio) were being sent to Cuba - for the rest of their miserable lives - he looked up, flashed a huge smile and expressed his remorse and regret about his uuhhh ... punishment (???). YES! Things were looking up again!! The image to the right is a purported self portrait of Leonardo Da Vinci. Click here to read fascinating information on how Siegfried Woldhek shows how he found the true face of Leonardo. True or bogus, the first thought that popped into my mind when I saw the picture was: "Do I look worried?" Somewhere in my various readings it was mentioned that Da Vinci and Michaelangelo were contemporaries and that Da Vinci didn't really think Michaelangelo's artwork was all that! So in my mind I conjured up this scene where gossipers were running to tell Da Vinci that the word on the streets was Michaelangelo had been chosen to paint the Sistine Chapel. What an honor, huh? Do you realize the prestige that comes with being deemed such a great artist?! And I'm thinking Da Vinci's reaction to Mikey getting such a job is like: "Do I look worried?" Let me paint this portrait of myself. I know who I am. My thoughts are very likely far removed from the reality and the truth of how this portrait came to be. 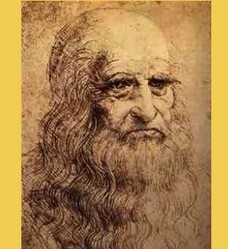 But that's what comes to mind whenever I view this image of Mr. Da Vinci's face. (1) Hatred consumes too much of your time and it's a waste of your energy, which is a valuable human resource. (2) Sometimes you got to do something wrong, to figure out how to do it right. You've got to. (3) Jealousy and envy are stupid. We're not all the same. But we are all equal. (4) Judas didn't commit suicide because Jesus wouldn't forgive him. He hung himself because he wouldn't forgive himself. (5) Some people over-exaggerate pain; while others suffer and nobody knows. Eh! Create your own rainbow! (6) Always lie to yourself. It makes you feel better; and then you won't have to go through the denial stage. (7) There is no perfect recipe for being human. So if you're the product of a crummy gene pool, you're screwed for life. (8) We all have our likes and dislikes; but it doesn't mean we should discriminate based on that. (9) A distortion can really mess up your view. A fabrication is easier to weave. (10) There are no unsolved crimes. The perpetrators and the victims have the solution. (11) The debt crisis, the Greek crisis, this crisis, that crisis. Historically, many nations' economies have crumbled and the world did not stop turning. (12) Drought, famine, pollution, disease and natural disasters don't stop the earth from turning. That's why aliens are always trying to invade this planet. (14) The human brain looks for patterns. It's part of the cognitive process. (15) If you speak to someone you don't know, you may just make a friend for life. (17) Nagging is not really a good motivator. But sometimes it does make a person get off their duff and do what they need to do. (19) Clean water and clean air. That's the goal because ... that's the gold! EPA is known as Environmental Protection Agency. But when I see those letters, I think: "equally precious assets". (20) Saturn? Pretty rings. What else? ~ Jupiter? A bunch of moons. One moon is enough for monthly mood swings! ~ Mars? If I want to see red dirt, I'll go to Georgia! ~ LOOK! We got nowhere else to go! Save the trees!!! That's it! 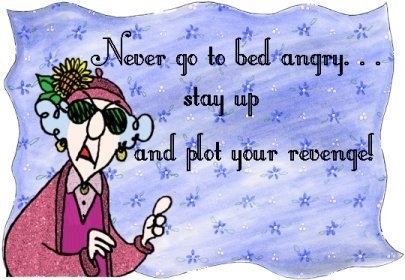 My Worry-Free Philosophy. What's Yours? cmoneyspinner, Me, too, about the EPA: "Environmental Protection Agency. But when I see those letters, I think: 'equally precious assets.'" So true! Just love this list. I often find that forgiving myself is the hardest to do. I worry about things that happened a long time ago. @ologsinquito - YAY! Wish my kids could learn this. Words to live by and a great article. Pinned to My Wizzley Writing Board. @EmmaSRose - Easy to say and do now. Took a long time to learn "how to". You have a great outlook and philosophy. I also like that verse from Luke as well. Even though at times it's tough to NOT worry, it does not help the situation.